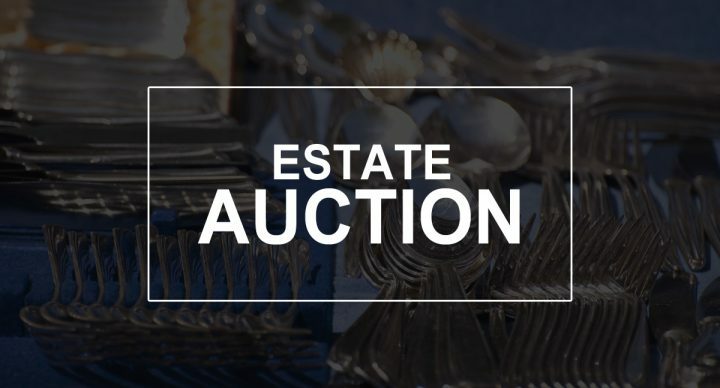 In order to settle the Vera M. Johnson Estate, we will offer the following real property at auction on site at the land located from Baltic, SD – Lovely Ave./250th St. & 5th St./474th Ave.) – ¾ mile north on 5th St./474th Ave.); located from the 4 Way Stop on Hwy. #115 in Dell Rapids, SD – 2 ½ miles south on Hwy. #115 to the Jct. of Hwy. #115/475th Ave. & 248th St., then 1 mile west on 248th St. and ½ mile south on 474th Ave. or approx. 12 miles north of Sioux Falls, SD. AUCTIONEER’S NOTE: This is an auction which includes parcels of land that will suit the needs of a variety of buyers – including acreage buyers, farm operators seeking land to add to their farming operations and/or investors. This land has been surveyed and Farm #1 that is inclusive of the existing farmstead will be offered as two individual tracts or as a unit; FARM #2 is located directly east of Farm #1 and will be offered as an individual tract. This land may have some long-term futuristic development potential in tempo with the northerly growth of the Baltic, SD. If you are in the market for some extremely well located land with a mixture of desirable attributes, then get your financing in order and make plans to inspect these properties and be in attendance at this auction! Chuck Sutton. FARM #1 – PARCEL #1A – ACREAGE ADDRESS: 24917 474th Ave., Baltic, SD – To be Offered in 2 Individual Tracts & as a Combined Unit – PARCEL #1A – The +/-4.32 Acre Improved Acreage Site, PARCEL #1B – +/-39.58 Acres of Bare Cropland or PARCELS 1A & 1B Together – The +/-43.90 Acre Unit. LEGAL DESC. : To be Platted and Known As – The Acreage Site – Tract 2 of Johnson’s Add’n. in the N ½ NE ¼ of Sec. 32, T. 104N., R. 49W., M’haha. Co., SD; The Remaining Unimproved Land – Tract 3 of Johnson’s Add’n. in the S ½ SE ¼ of Sec. 29; and in the N ½ NE ¼ of Sec. 32, T. 104N., R. 49W., M’haha. Co. SD. The improvements on the existing building site (Parcel 1A) include a 1 and 1 ½ story home that is in need of some updating and repair with the main level comprised of an east entry to the dining/kitchen area, living/family room and a south sliding door to a concrete patio, 2 bedrooms, laundry area, full bath with separate tub and shower and an attached dbl. garage w/2 overhead doors & elec. openers; 2nd story with 2 bedrooms and a large dormer storage area; the home has a partial basement with a trap door entrance from the main level and an exterior entrance with the basement housing a LP gas furnace w/central AC and some storage area; the home has an updated 200 amp breaker elec. service and is serviced by an older septic system and Minnehaha Community Rural Water, there is also a well on the property with an abundant water supply that is not currently in use. The existing LP tank is not included and will be removed; the exterior of the home has vinyl siding and asphalt shingles. Other improvements on the property include a 3 stall garage w/3 overhead doors, metal machine shed (approx. 40’x50’ w/shop area, an older garage/stg. bldg., sgl. garage/shop bldg., and other incidental older outbuildings. This is a very well located farmstead that is just 1 mile north of Baltic, SD with a comfortable home and several outbuildings, although with removal of the existing residence – this could be an excellent site for construction of a new home on an sizeable +/-4.32 acre acreage, which could allow room for accommodation of a few head of horses, cattle or other livestock. Parcel #1B – the adjacent +/-39.58 acres and is a parcel of land that is nearly all tillable. According to FSA info., Farm #1 as a unit had approx. 37.46 acres of cropland with the nontillable acres comprised of the bldg. site and roads, with an FSA 27.88 acre corn base with a 136 bu. yield and a 5.51 acre soybean base with a 41 bu. yield. According to Co. Assessor’s data this parcel as a whole had a soil rating on the portion in Sec. 32 of a .722 and on the portion in Sec. 29 had a soil rating of .780; comparatively info. obtained from Surety Agri-Data, Inc. indicates that Parcel 1B has an overall productivity index 76.9. The general topography of this land ranges from level to somewhat rolling. This is a rural parcel that has potential to suit the needs of a variety of buyers, and truly must be seen to be fully appreciated. FARM #2 – +/- 72.73 Surveyed Acres – LEGAL DESC. : The N½ NW¼ of Sec. 33, T. 104N., R. 49W.., Exc. Johnson’s Addition contained therein and Exc. Tracts 2, 3 & 4 of Johnson’s Add’n. contained therein. This +/- 72.73 acre parcel of land will be offered individually. This property is extremely well located and is just ¼ mile north of a housing development in the City of Baltic, SD. This is a parcel of land that has a very high percentage tillable and has no remaining rural housing eligibilities. It is apparent that the cropland acres on this farm are slightly overstated, as it doesn’t appear that the cropland acres have been adjusted and deducted all of the acres within the housing sites that have been previously sold off of this property, thus the FSA data will necessitate updating by a new owner subsequent to purchase; presently FSA info. indicates this farm has approx. 76.51 acres of cropland with a 56.95 acre corn base with a 136 bu. PLC yield and an 11.26 acre soybean base with a 41 bu. PLC yield and is enrolled under the County ARC election of the USDA farm program. According to the Minnehaha County Assessor the overall soil rating of .652, comparatively info. obtained from Surety Agri-Data, Inc. indicates a productivity index 65. The general topography of this land is predominately gently rolling to somewhat undulating throughout. The total 2017 RE taxes payable in 2018 on this property were – $1,616.01. This land would be an extremely nice addition to a row crop farming operation or investment. TERMS: CASH – A 10% nonrefundable earnest money payment sale day and the balance on or before January 25, 2019; the acreage buyer will receive full possession at closing; buyer(s) of the unimproved bare land will receive full possession of this land for the 2019 crop year. Personal Representative’s Deeds will be conveyed and Owner’s Title Insurance policies will be provided with the cost of the owner’s policies divided 50-50 between the buyer and seller. A title company closing fee, if any, will be divided 50-50 between the buyer and seller. All of the 2018 RE taxes payable in 2019 will be paid by the estate; the buyer(s) will be responsible for 100% of the 2019 RE taxes payable in 2020. The acres in both FARMS #1 & #2 will be based on Surveyed acres as determined by Midwest Land Surveying, Inc., with the survey costs and platting costs, if any, to be paid by the estate. Surveyed acres are understood to be “more or less”. The sellers do not guarantee that existing fences lie on the true and correct boundary and any new fencing, if any, will be the responsibility of the buyer(s) pursuant to SD Law. FSA cropland acres, yields, bases & other information is estimated and subject to County Committee approval. This property is sold in “AS IS” condition and is sold with no contingencies whatsoever and the information contained herein is deemed to be correct, but is not guaranteed. This property is sold subject to existing easements, restrictions, reservations or highways of record, if any, as well as any or all Minnehaha Co. Zoning Ordinances and/or regulations. The RE licensees in this transaction are acting as agents for the seller. Sold subject to confirmation of the Co-Personal Representatives. For addt’l information contact the auctioneers.